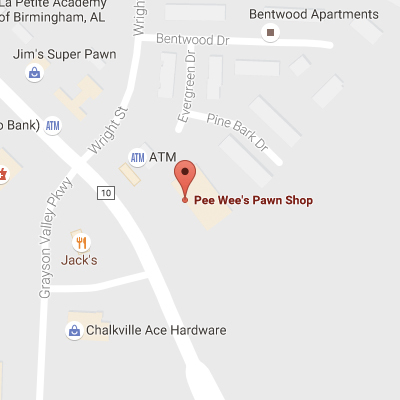 Contact Pee Wee's Pawn in Pelham, Bessemer or Trussville! 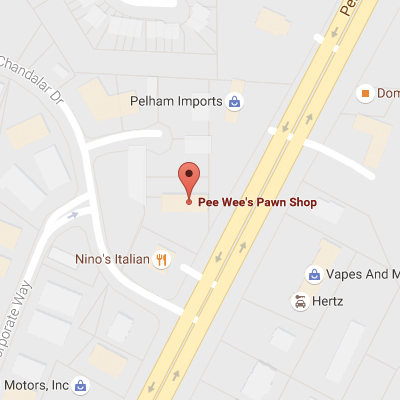 Since 1990 Pee Wee’s in Pelham has been one of the largest pawn shops in Alabama. 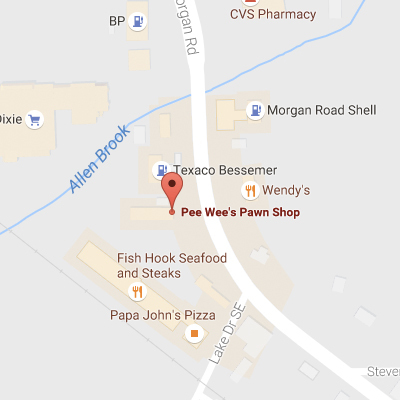 Visit one of our locations for great deals and a huge selection of jewelry, guns, tools, electronics, and sports collectibles for every fan. 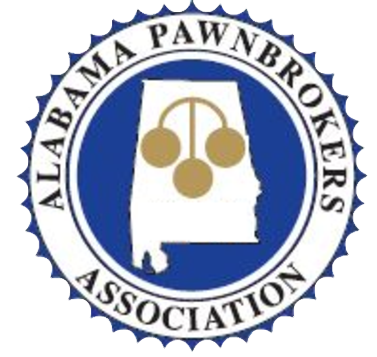 Now you can visit us in Pelham, Bessemer and Trussville.